Celebrate the 2019 African-American Read-In! Click Here for Details. Caroline Brewer would not be who she is today – author of 11 books, editor of five books written by students, a former teacher, fearless literacy consultant, wildly successful tutor of children as many as 9 grade level behinds in reading, and founder of the Happy Teacher deliberate system -- if it wasn’t for children. 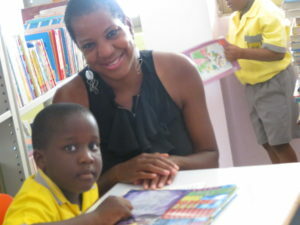 Thousands of children, including 2nd graders who inspired her to write her first book. 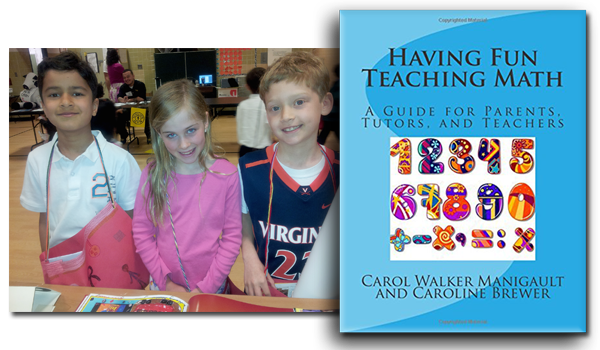 "Caroline Brewer provides practical strategies to help struggling readers succeed, not only with reading and writing but with independent learning skills." "Thank you on behalf of our children in our county who will be touched by the work you created. I look forward to continuing to use your materials." "The books you make are fun to read!" "I love your book and it was fun. You are my hero." 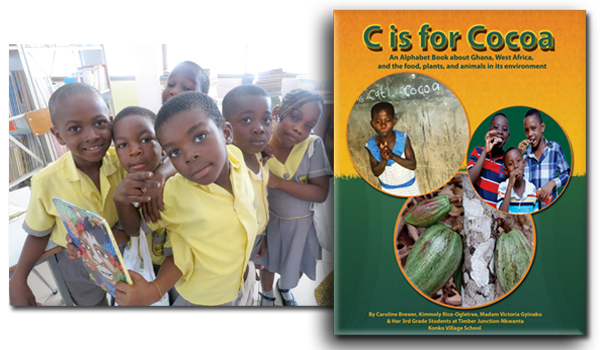 C is for Cocoa is a unique and exciting alphabet book about Ghana, West Africa, and the people, food, plants, and animals in its environment, based on suggestions by the 3rd grade students of Timber Junction-Nkwanta School in Konko Village, in the Eastern Region. C is for Cocoa was featured in the major motion picture Beasts of No Nation starring Idris Elba. Every purchase is a donation that allows us to give books to Konko Village youth and other school children in Ghana. 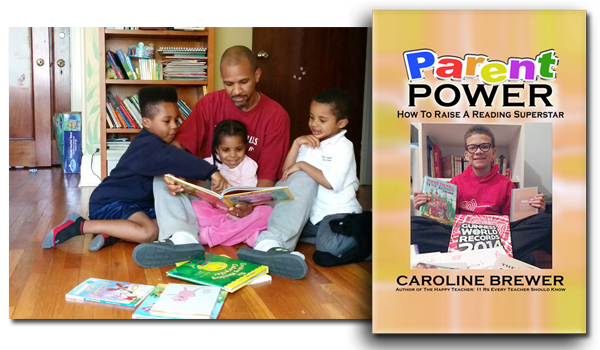 Parent Power: How to Raise a Reading Superstar is for parents, guardians, tutors, church and community workers – any adult who wants to help children or teens improve their ability to read and write – and do it while having outrageous fun! Regardless of age, grade level, or background, whether a child is diagnosed with a learning disability, emotional disability, is taking medication, hasn’t warmed up to books or is hostile to them, Parent Power provides keys to a reading revolution. 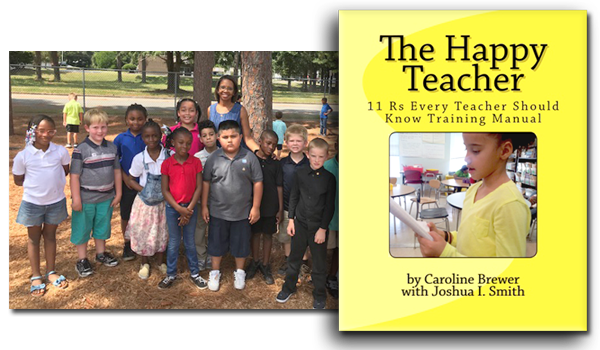 The Happy Teacher: 11 Rs Every Teacher Should Know training manual is a powerful and empowering toolkit of strategies that put the joy back into teaching and learning while helping teachers anywhere in the world meet educational standards. 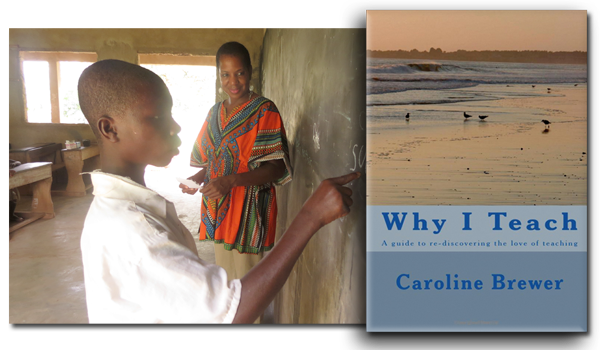 Why I Teach is an inspirational meditation on the profound joys, promises, and potential of teaching. Part One is a poem, followed by a journal in Part Two. The journal allows the teacher to reflect and record daily personal teaching experiences throughout a school year in the cause of becoming a happier, more effective, and soul-centered teacher. The book also is an unabashed celebration of teachers and the teaching profession; a hymn of hope, harmony, and healing during these difficult times. Having Fun Teaching Math is a handbook designed for teachers, trainers, and tutors to use in the classroom and in one-on-one work with children, and for parents to deepen their understanding and skills of how to support their children as learners first, and then as young people capable of reaching the highest heights in the study and application of Mathematics. 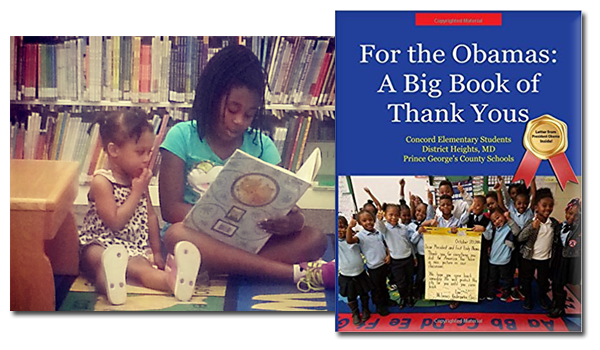 The book also will help adults improve their use of community resources and services that support children’s educational development. A thank you letter to the students from President Obama! Sugar, spice, and a whole lot of nice. Precious words you'll want to read more than twice. That's what you'll find in this sweet, funny, and insightful book of nearly 300 thank-you cards and letters for President Barack Obama and First Lady Michelle Obama. 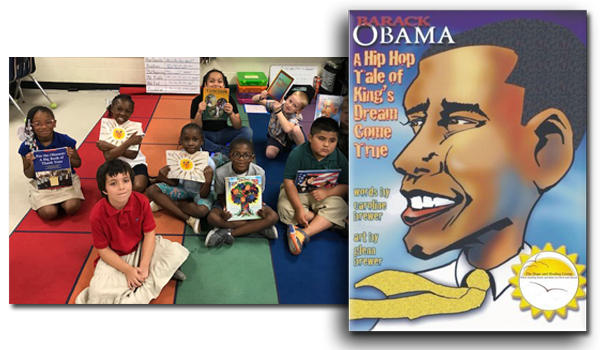 Concord Elementary School students, from pre-K to 6th grade, poured their hearts and souls into expressing how much they appreciate the Obamas for their service to our country. Every purchase helps pay the costs of producing the book and of providing free copies for students. Barack Obama: A Hip Hop Tale of King's Dream Come True is a humorous, satirized and fictionalized account of the presidential campaign of Barack Obama. Its swift-moving rhymes, rhythm and drama entertain while educating children about one of the most important events in world history. The brightly illustrated 32-page book ultimately reveals President Obama's powerful connection to the enduring legacy of the Rev. Dr. Martin Luther King, Jr. and the Civil Rights Movement he so honorably and courageously led. "Caroline helped my special needs daughter show an interest in reading that was not there at first. Thanks for making a difference." Theresa M. Davis, Parent Washington, D.C.
Roxanne M. Carter, Grandparent Washington, D.C.
"When I grow up, I want to be an author just like you."